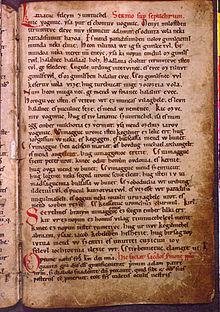 Hungarian has about 13 million native speakers, of whom more than 9.8 million live in Hungary. 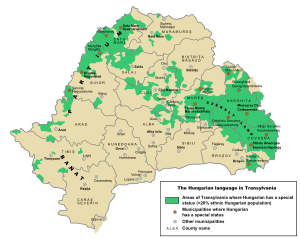 According to the 2011 Hungarian census 9,896,333 people (99.6% of the total population) speak Hungarian, of whom 9,827,875 people (98.9%) speak it as a first language, while 68,458 people (0.7%) speak it as a second language. About 2.2 million speakers live in other areas that were part of the Kingdom of Hungary before the Treaty of Trianon (1920). 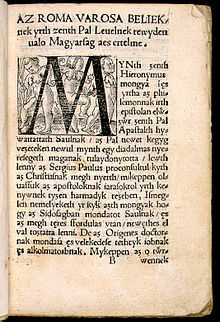 Of these, the largest group lives in Transylvania, the western half of present-day Romania, where there are approximately 1.25 million Hungarians. 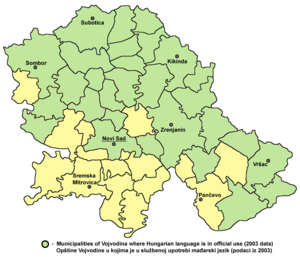 There are large Hungarian communities also in Slovakia, Serbia and Ukraine, and Hungarians can also be found in Austria, Croatia, and Slovenia, as well as about a million additional people scattered in other parts of the world. For example, there are more than one hundred thousand Hungarian speakers in the Hungarian American community and 1.5 million with Hungarian ancestry in the United States.